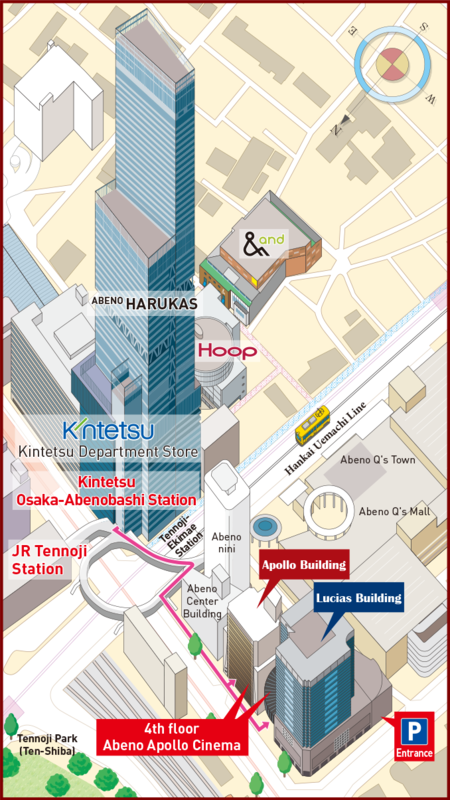 The Apollo Building and the Lucias Building are large-scale commercial complexes located in Tennoji (Abeno), with about 100 various facilities, including a cinema complex, Japanese-style bars, a large-scale bookstore, restaurants, and shops. Come and visit the Apollo Building and the Lucias Building and enjoy. 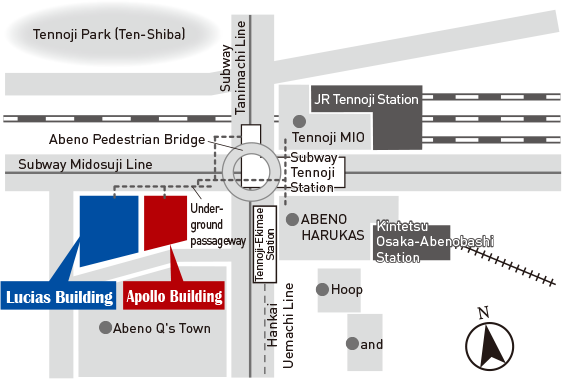 The Apollo Building and Lucias Building are within walking distance from Kintetsu Osaka-Abenobashi Station, JR and subway Tennoji Stations, Hankai Tennoji-Ekimae Station and ABENO HARUKAS, directly connected from Exit ⑭ of subway Tennoji Station via an underground passageway. Copyright (C) Kin-Ei Corp. All Rights Reserved.